Full Arabic/English with Quranic Commentary, transliteration, index, glossary (over 500 words), and full search. 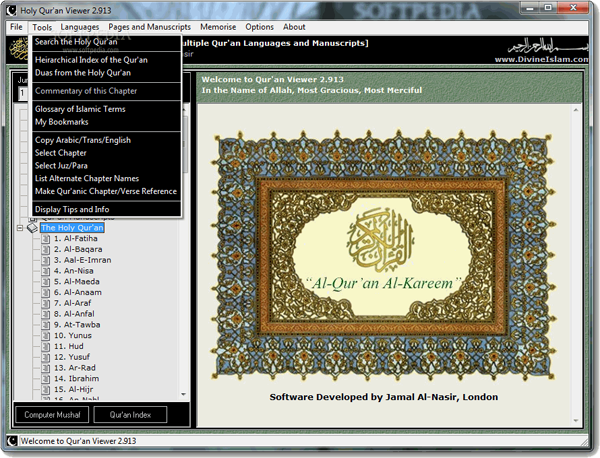 Multi-Language Qur'an Software. 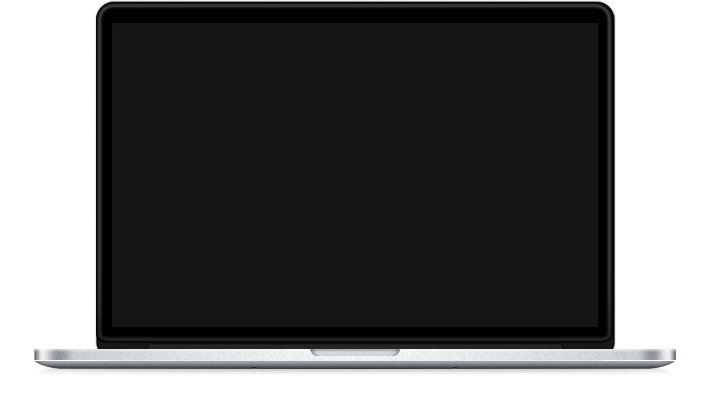 Supports plug-in Qur'an Translations allowing translations into multiple languages. Qur'an verses can be compared in any installed language. Other languages that can be downloaded and installed include: French, German, Spanish, Malay, Indonesian, Japanese, Korean, Tamil, Hausa, Turkish, and Indonesian. Eight other English translations are also available. 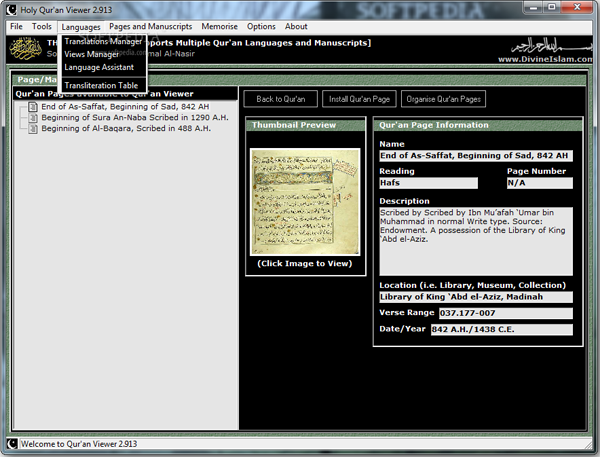 Computer Generated Mushaf pages of the original Sacred Arabic text, as well as an Advanced Manuscript Viewer.